Obituary for Elizabeth A. 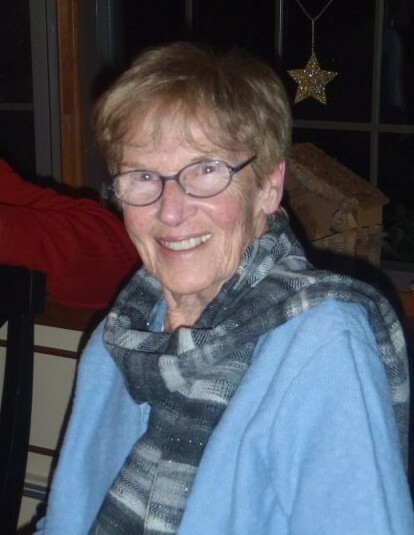 (O'Neil) Kearney | Nardolillo Funeral Home, Inc.
of North Kingstown, passed away peacefully at home surrounded by her loving family on Wednesday February 6, 2019. She was the beloved wife of the late Joseph Francis Kearney. Born in Mount Vernon , NY, she was the daughter of the late John J. and Miriam (Dillon) O’Neil. She was the loving mother of Margaret M. Fair of Narragansett, John J. Kearney of Narragansett, Joseph F. Kearney of Seminole, FL, Mary C. Pellegrino of North Kingstown, Anne M. Kearney of Wakefield, Marc W. Kearney of Westerly, James T. Kearney of Wrentham, MA, Cathleen Adams of Kirkland, WA, and the late Elizabeth Ann Kearney; cherished grandmother of 20 and great-grandmother of 14; sister of Mary O’Neil Ward of Marco Island, FL, James E. O’Neil of Narragansett, and the late Jeanne Arnau. VISITING HOURS are Monday from 4 - 8 p.m. at Nardolillo Funeral Home in Narragansett. Mass of Christian Burial at 11 AM on Tuesday at St. Veronica‘s Chapel. Burial will take place at St. Ann Cemetery in Cranston.